Basel is known to be a beautiful quiet city and one of the most culturally rich centers in Switzerland. It has very often been a place for quiet negotiations and held many international meetings. Basel is located at the meeting point of France, Germany and Switzerland. The Swiss chemical industry operates from Basel and it also has a large pharmaceutical industry. Banking has been a very integral part of Basel and this has been proved by the location of central bank’s bank called BIS (Bank of International Settlements) and central offices of UBS AG. There are eleven board of directors from countries that control the BIS, namely, US, UK, Belgium, Canada, France, Germany, Italy, Japan, Switzerland, the Netherlands and Sweden and 58 member central banks. BIS has representative offices in Mexico city and Hongkong. Originally started in 1930, BIS was initially owned by government and private individuals. 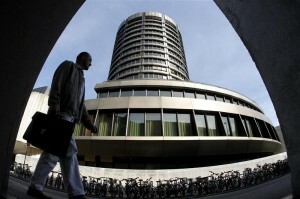 It is now wholly owned by BIS members (central banks) but still operates in the private market as a counterparty, asset manager and lender for central banks and international financial institutions.Profits from its transactions are used, among other things, to fund the banks’ other international activities. BIS controls the capital adequacy ratios in banks and encourages reserve transparency. These functions are required to keep economies stable in member countries by avoiding bank runs and economic crises as “bad money drives out good” (Gresham’s Law).Sometimes reaching a consensus seems difficult since every country has its own agendas, policies and financial resources. Monetary policies are based in every country and affects foreign exchange rates and exports of the country.Altering these monetary policies along with the BIS guidelines can be difficult in times when customers have loss confidence in nation’s banks. Developing countries are more prone to huge losses in such cases for the simple reason that they tend to be more industry or region focus. For e.g. the United States divided federal monetary management into nine regions, in which the less-developed western United States had looser policies. 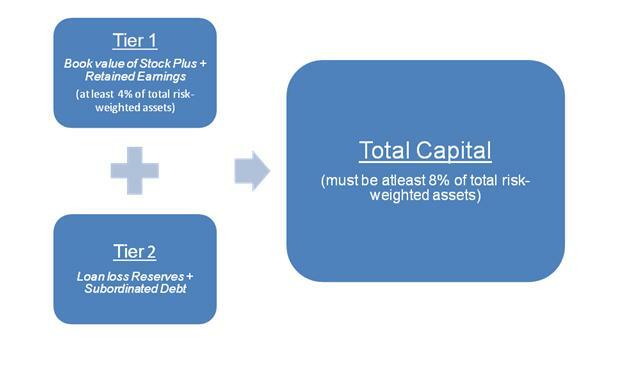 The BIS sets “requirements on two categories of capital,tier one capital and total capital. When a bank creates a deposit to fund a loan, its assets and liabilities increase equally, with no increase in equity. That causes its capital ratio to drop. Thus the capital requirement limits the total amount of credit that a bank may issue. It is important to note that the capital requirement applies to assets while the bank reserve requirement applies to liabilities. The BIS provides the Basel Committee on Banking Supervision with its 17-member secretariat, and has played a central role in establishing the Basel Capital Accords of 1988 and 2004 (famously known as Basel I and Basel II). Significant differences remain between United States,EU and UN officials regarding the degree of capital adequacy and reserve controls that global banking now requires. The United States in 2006, favored strong strict central controls in the spirit of the original 1988 accords, while the EU was more inclined to a distributed system managed collectively with a committee able to approve some exceptions. It is widely felt that the shortcoming in Basel II norms led to the global financial crisis of 2008. That is because Basel II did not have any explicit regulation on the debt that banks could take on their books, and focused more on individual financial institutions, while ignoring systemic risk. To ensure that banks don’t take on excessive debt, and that they don’t rely too much on short term funds, Basel III norms were proposed in 2010.Failure in the transparency of many banks that are governed by the central bank also has raised many issues regarding the transparency of the central banks and other banks under its umbrella. By having a global exposure, it is important for central banks to take quick actions and not go for the ‘wait and watch’ policy because that delay leads to billions of losses and indirectly affect the taxpayer while the big banks get bailed out or made to pay fines.